On June 23rd, 2018, I travelled by train to Croatia, Belgrade to Zagreb. It’s about an 8-hour trip and crosses northern Serbia into Croatia, avoiding Bosnia, so there’s one international border to cross. The train departs the old station in Belgrade, around 10:30 in the morning, and I highly recommend grabbing a nice Serbian eggs breakfast next door at the ritzy Stanica 1884, which should set you back about $7 Canadian with a good coffee. The train doesn’t sell snacks or water, but the station has a convenience shop where you can get some pretzels and bevvies. When it comes to bus versus train, I’ll choose train every time, due to space, walking-around-ability, and access to loos, plus not having to suffer a flat tire in the middle of the mountains in Montenegro, as I did in April, 2017. Belgrade was a pleasant surprise. Anyone worried that a darkness lingers after the Balkan Wars can set that aside. They’re lovely people who know how to live in the moment — an important lesson we all need to learn. We’re rumbling through villages and speeding across farmland under a cloud-spotted blue sky. A cold front blew down from Sweden, turning my last Serbian day into a chilly, breezy one, and it was glorious after what has been months of inadvertently dodging hot, humid summer days. We left the city 45 minutes ago and I’m enjoying two seats to myself. Total cost for about eight hours of gorgeous scenery flitting past the windows? 38 euros, or about $60 Canadian. It’s worth the extra $30 to not have to get irritated or self-conscious with a seatmate. It’s good for my back, and it allows me to keep my $5,000 worth of electronics under my thumb. I haven’t travelled enough by train in Europe, and I’m grateful for another day on the tracks. 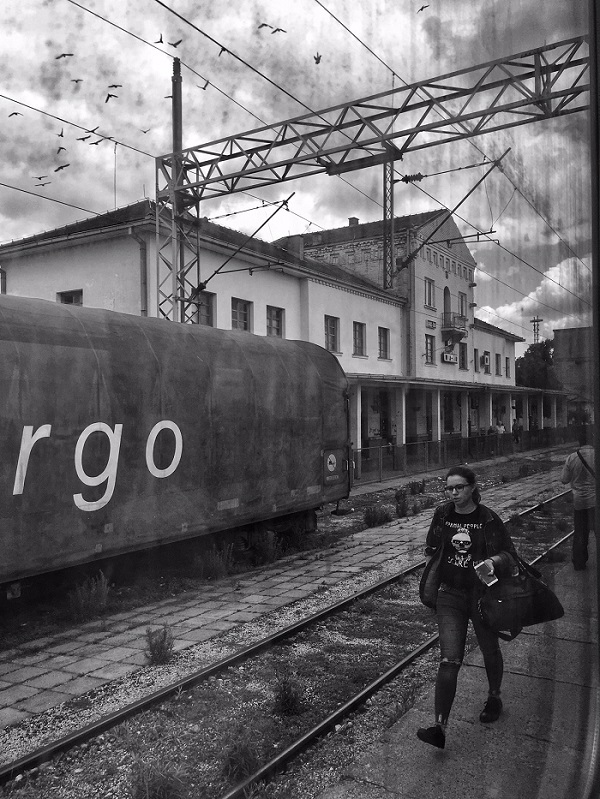 My last train ride was the night train from Turkey to Bulgaria. I enjoyed that, but there’s much to love about scenery blasting past in daylight. On this train to Croatia, a bottle-red woman with a yellow bandana is brushing her teeth, having pulled out a battery-powered Oral-B brush and topped it with some paste. No reservations, no concerns of how it looks. She’s off to the loo to finish the job. It’s testament to how ordinary a day on the trains is here in Europe, where trains are a way of life, the critical lifeline between cities. This is especially true in these poorer Balkan nations when gas runs $2.00 a litre but the average income is under $1000 Canadian per month. 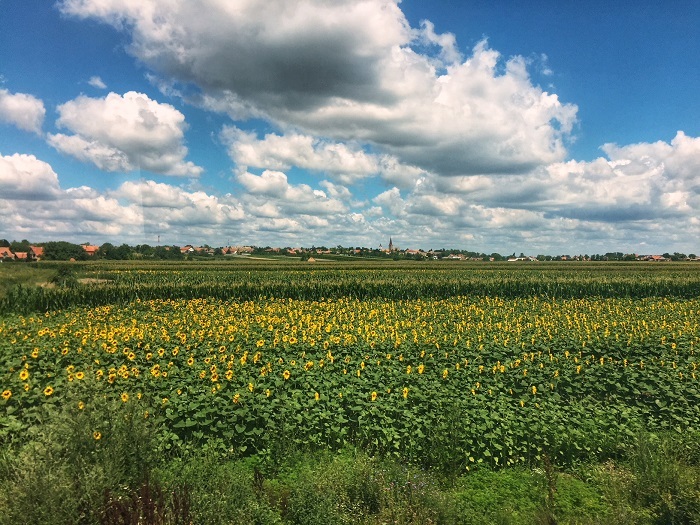 We’re rolling past fields of corn, south-facing cheery sunflowers, and leafy potato plants ready for harvest. I’m hoping the clouds clear out and sunflowers shine under a blue sky, but there’s something restful about a cloudy day on the trains. It seems fitting the sunflowers dot this formerly war-torn northern region of Serbia. I once read a story about Chernobyl and how they discovered one of the best things for removing toxicity from the radioactive ground were sunflowers. Plus… pretty! I was told, after the wars, the numbers of cancers exploded for a while. Bombs left chemicals, agriculture wasn’t immune. Sanctions left little choice. People ate what they could. Sanctions and the opposite of organic food – doubly punitive payment for a war many citizens never asked for. That’s life, the little man pays the price for the politician’s bravado. Hardly a new story. But years have rolled on and things seem good on most fronts – there’s improving economy, better food, no sanctions. Peace, though, seems shaky these days as rumblings of nationalism unsettle the political landscape anew. Every few minutes now, the train travels over a raised bed with rolling farmlands all around. The contrast and colours coupled with contouring land makes me smile. This is why we ride trains. In the distance, mountains. I hope we’ll cross some of those between Croatia and here. In between, borderlands that bore some of the brunt of the Balkan Wars of the 1990s. We’re rolling past the village of Putinci. My through-the-cyan-window photo will do no justice. (Above.) Surrounded by sunflowers, a brownstone tall-steepled church on a low-slung hill amidst the terra cotta-tiled homesteads. It’s as picturesque as inland, lowland Balkans get. Some day I’ll have debts paid off and more time on my hands, and I’ll return, buy a car, and just drive around these countries for six months. It’s too beautiful here. I’ve napped. I’ve snacked. I’ve peed. Let’s just say no one is taking this train for the lavatory experience. Good lord. I think the ramshackle train’s bathroom in Thailand might have this one outclassed. No locks, mirrors coming unhinged, general unsightliness you don’t want to read about. We’ll blame it on NATO sanctions, shall we? A word to the wise: Always, always bring toilet paper. We’ve crossed into Croatia now. It’s strange, rumbling over tracks, one horizon bleeding into another. A smattering of trees, distant towns, pockets of sunflowers, rolling hills here or there. It’s all so very similar. And once it was all Yugoslavia. But then nationalism and ethnocentrism roared, rivalries flared as angers soared, and blood spilled. I’m in the region of Vukovar, Croatia. The province of Slavonia, undervisited and wrongly so. As if on cue we just rolled past a postage-stamp-sized village and one house still bore a smattering of bullet holes, and now a factory too. Most exteriors have been refurbished, but if you look for stray bits of evidence, that’s exactly what you’ll find. Vukovar, as picturesque as it is today, was one of the catalysts for the Balkan war. Here, ethnic cleansing occurred when Serb forces killed up to 300 Croats. In Serbia, some told me they fear tensions are rising again. A Bosnian region with ethnic Serbs wants independence. Russia apparently backs them. Kosovo remains contentious. If things happen, Serbia will once again be in the thick of it, likely the aggressor. It’s all so very complicated, and I think even people living here may not fully understand the antagonism. And if war breaks out again, it won’t be because it’s wanted. It’ll be because a few spoilsports can’t leave well enough alone, wrecking it for the entire region. Unfortunately, sometimes these Balkan flare-ups are as volatile as a house of cards. Eventually, it all comes down. So, like any good Balkan person would, I’m simply trying to enjoy myself while I can, because who knows how – or when – everything comes undone? The Serbians are like the Greeks that way, or the few I’ve talked to – don’t make plans, because life makes a fool of you if you do. There’s what you want to do, then there’s what transpires. It’s a fatalist perspective gained from being one of the most frequently invaded and conquered people in human history, part of why they’re so aggressive and protective of their people now. For the citizens of these nations, there a powerlessness between what they can control in their lives versus the machinations of politics and society. It’s one we’re beginning to better understand back home in North America as authoritarianism slowly takes hold. 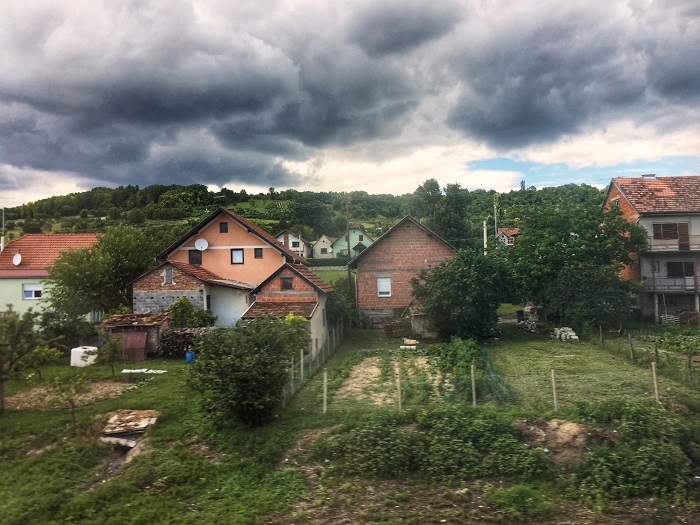 Croatia’s Slavonia on a dreary day from the train. Next town. More bullet holes. Most homes rebuilt or refurbished in the last 15 years, though. What stories this land could tell. Rolling through idyllic landscape like this, I’ll never understand war. How bloodlines in the soil dictate so much. Why slaughter people for this? It’s soil and rocks. Some fields, some buildings, some perceived gain. What is nationality, anyhow, really? Why do we care so much about who’s who, from where? The more of the world I see, the less I’ll ever understand that. But the more I understand it too. Ethnicity and blood, they’re complicated. Just ask the Rohingyas or Kurds. It seems that if your ethnicity is something worth killing you for, well, it’s worth dying for, too. And so we war. We’re speeding along now, villages further flung on low-lying hills a kilometre or so in the distance. Such beautifully quaint churches amidst pockets of houses and oak thickets. I’m looking forward to spotting olive trees but I’m not sure they grow so far inland here, or if they’re more of a southern Croatian phenomenon. I know one had to head to Istria for the olive trees when I was last in Zagreb. Ahh… land, as far as I can see. Of late, I’m regretting not spending time by the ocean this summer. I’ll make up for it over the next year, do more coastal travelling, as much as I can. But this is my life until then. Forests and fields, hills and rivers. We’re not even half-way to Zagreb yet and should arrive in 3.5 hours. We’ve been going now for 4.5 hours, but I speculate it’s more remote in this part of Croatia than in Serbia. The border ate much time, well over an hour between both sides, in one of the most involved and contentious crossings I’ve ever made while travelling, I suspect a statement on the bad blood lingering long after the wars. Train speed is dictated by population. The more villages, the more often the train slows to a crawl. Landscape and fencing plays into that too. The Croatian crossing has more frequent high-speed clips than Serbia did. I dozed in and out over the last two hours. Jolting awake here and there. We’re now clattering to a halt in Banova Jaruka. Beekeepers, village houses with greenhouses growing all manner of foods. Just a little town. Google Maps has run out of its cache, so there are no more towns dotting my map until just outside Zagreb, which is now an hour and 20 minutes away. I’m at the mercy of spotting station names as we roll through. The talkers in my car – chatty bastards, including bottle-red banana-yellow-bandana lady – haven’t shut up for six hours now. It’s an impressive feat that they all enjoy each other as much as they do. I’d have napped by now, even with my best friends, I think. That’s not really a statement about my friends, more one of the fact that I’m in my 40s and part of the magic of a train ride is the lulling calm and placating scenery that sends me into dozy bliss, as it has today. About halfway through the train to Croatia, in the Serbian borderlands. The goth-y shot is made all the more moody by my dirty window. Her “normal people scare me” t-shirt made this perfect for me. We may finally be wresting ourselves out from under the oppressive thunderclouds we’ve been jogging under for about 250 kilometres. The cloudscape is getting lighter and fluffier, the darkness lifting. We’re now riding past a monstrous series of interconnected factories, probably nearly two kilometres long, and almost certainly built under Josip Broz Tito, before 1982. It’s a bleak landscape with some abandoned buildings, but judging from the smoke puffing out of stacks at the factory, some of it still runs even now. Surely not at the clip it once did. The station had a dozen waiting to board. It’s Kutina. The city itself, a bit down the tracks, is the first place at which I’ve seen modern apartment blocks in quite some time. Ahh, and a large Plodine Supermarket. To you, it’s a supermarket, but it’s a sign that life must be pretty good in Kutina. The factory seems to have been the backbone and must still be. It’s the most-told tale of the past 200 years, the plot upon which so much of modern life rests. Later, in Zagreb, a taxi driver tells me Kutina was a thriving government-run chemical manufacturing plant in its heyday. Still is, but much of its operations have ceased, despite outcry from locals who long for the jobs it once offered. Ahh, yes. The price of progress and ever-increasing automation, coupled with the China Conundrum, I’m sure. We’re still jogging past beautiful little houses with long strips of farms and big yards, all the homes between two and four-floors high, all around Kutina. The sunflower plants stopped long ago, but corn is still omnipresent. Now and then I see a smattering of Christmas trees, likely grown for the big-city folk. Apple trees abound, probably quince too. Beautiful rolling hills in the distance have well-drained vineyards and orchards angling down their slopes, with lots of oaks and other presumed nut-bearing trees providing canopy over the hilltops. Croatia is a beautiful country well beyond the seaside, and those who confine themselves to the seashore are missing out. There’s much more to the nation than just Dalmatia, folks. Every station we roll through, stopping or not, the stationmaster proudly stands out front. Deep navy pants, crisp white short-sleeved shirt, jaunty red hat. Tucked under one arm, a baton. This past station I noticed my first woman stationmaster. You go, girl. Huh. And now we’ve just passed a woman in her 40s, big straw hat, driving a tractor with one hand, mowing down her hayfield. Love that. Sisters really are doing it for themselves. I can be excused for a sudden mental jukebox playing of the Annie Lennox-Aretha Franklin classic. A big sigh finds me as I grow increasingly excited as Zagreb draws ever-closer. I’m pleased to be on this train, heavy black clouds now behind us, a sweeter sunlight bearing down over these agricultural landscapes as we inch toward the capital. This marks my third visit to Croatia and I’m planning a potential fourth trip in the new year, several weeks in Split before I return to Canada for a visit. 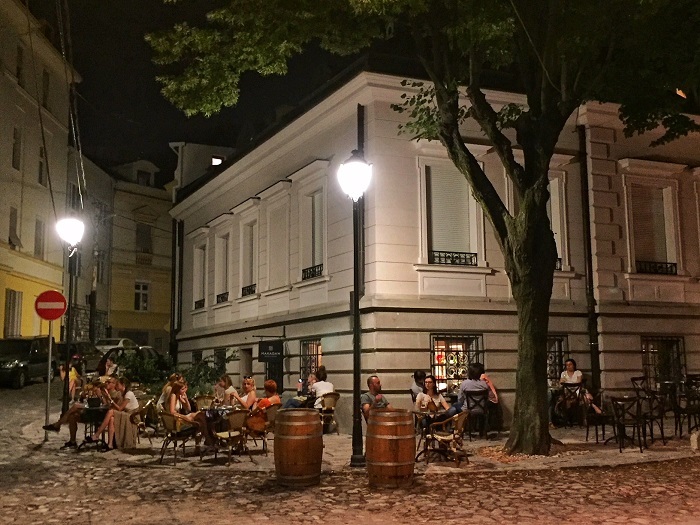 Despite an improving economy and the Croatian kuna doing well against the Canadian dollar – it has gained about 15% or so since I first came – life here is still reasonable and comes with a beautiful blend of lifestyles, cuisines, and great scenery. It makes sense that so many people have become smitten with the country. It’s that reaction so many people have, that if you’ve moved to our country, then you’d better start loving it, but I’ve learned how complicated this is. I’ve been to Mexico, where so many people leave to work for much of their lives, but they always return home. I met so many prodigal Mexicans. 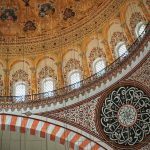 Culture isn’t just an abstract idea to these people, it’s what shapes who they are, and culture is tied to landscape and weather and agriculture and seasons and holidays. Celebrating a saint’s feast day in Canada is never the same as it is in Croatia or Greece or Italy or Mexico, where bands come out and food is abundant, and everyone understands what’s going on and why it matters. You can’t appreciate those idiosyncratic cultural moments until you’ve been in the thick of them, and then it’s easy to understand why immigrants long for their homeland, despite knowing that leaving was the best thing they ever did. And, often, returning is the best thing they’ll ever do too. It must have been hard in the Croatian lean times. Tito was no walk in the park. He was better than most dictators, but he certainly had his flaws. But with times improving here and wealth finding its way into more hands, I can see why the long-left prodigal Croatians are returning, and why so many other retirees and remote-working people find it such a desirable place to live. I get it. Throw in the great cheese, wine, and olive oil, and why the hell not, right? Rolling on, I’m so envious of people outside, tending their gardens today. I’m sure homegrown produce is a financial necessity for many, but I romanticize it, as is my privilege to do, and it’s a way of life I long for in my future. Zagreb is coming up. It’s here I began my journey just over 1,000 days ago. Nomad, Day One, happened in Zagreb, Croatia. I remember the excitement, the fear, the total sense of confusion about how to govern myself in my first country where I didn’t know the language. So much has happened, I’ve learned and grown so intensely in those many months of travel. 22 countries, around 80 cities, over 100,000 kilometres flown… What a ride. And soon, I’m back where it all started. I can barely remember who I was then. After seeing so much, I have to admit – Croatia’s on the list for places with climate and a quality of life I could see myself adopting in lieu of returning to Canada in my 50s. Where I’ll wind up when I’m all travelled out, well, who knows. But, for now, I’m in Zagreb, and I’ve got a few places to revisit. It’ll be nice to finally step out of a station or airport and recognize the lay of the land around me. And, coming to Zagreb means I’ve officially travelled around the world, latitude-wise, anyhow. Full circle, indeed.